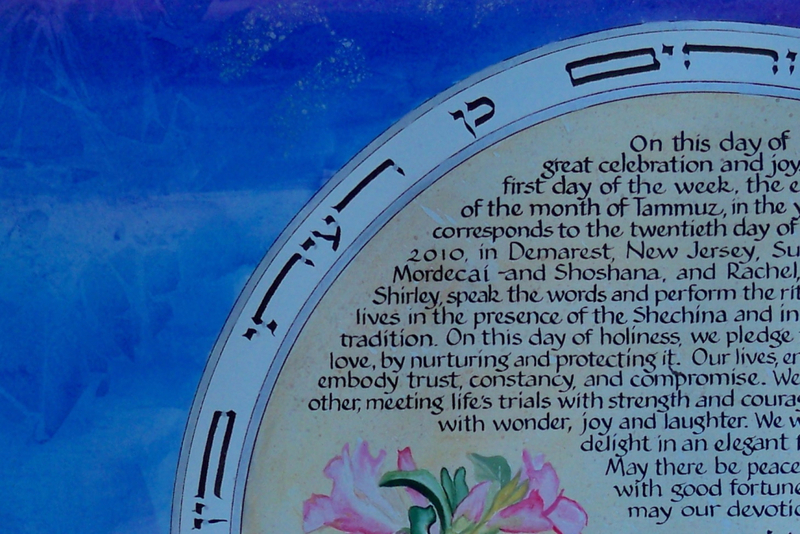 This image gives you a glimpse of a larger ketubah. To see the complete ketubah and read more about it, click here – Desert Rose Ketubah. To see a wider range of custom ketubot and read the stories of their development, visit the Ketubah Art Gallery.